Nottingham Cocktail Week runs from Monday 3rd – Sunday 9th September 2018, it’s set to be the most vibrant celebration of our city’s fantastic cocktail scene. We are proud to showcase our bar teams talent here at Hart’s by entering two unique cocktails. With over 50 bars and restaurants entered making this a fantastic cocktail trail across the city for all those that love to sample an array of beautifully mixed drinks. Please join us and tell us what you think? Description: Apricot consommé with a dandelion infused Chase vodka and a lemon kick. A fresh and seasonal twist on a classic sour. In pure Hart’s style, this cocktail was developed by associating seasonal foods with popular spirits and how we can blend the two flavours. 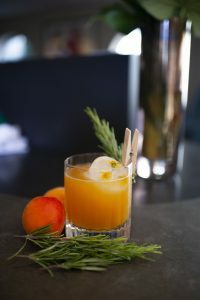 We started by infusing Chase vodka with dandelions to introduce an earthy yet almost sweet flavour to the cocktail which you get firstly on the palate which then allows for the apricots strong consommé to develop through, finishing the cocktail with the classic sour taste from the fresh unwaxed lemons. Description: This cocktail was developed by using mainly local ingredients from Weaver’s and Starkey Apple’s, two of Nottinghamshire’s finest drinks suppliers. This gin based cocktail is made from Weaver’s Castle Gate Pink strawberry with a hint of Lavender which offers a light local floral character. 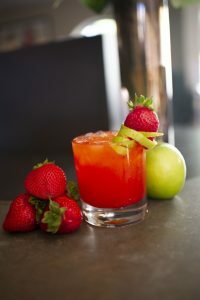 To give SW 7even its refreshing taste a Green Apple Schnapps liqueur is added to Starkey’s Discovery apple juice, home-made sugar syrup, fresh lemon juice, glazed with organic Agave syrup and garnished with fresh Starkey strawberries and green apple peel. This is served in a rock glass, shaken and poured over crushed ice. 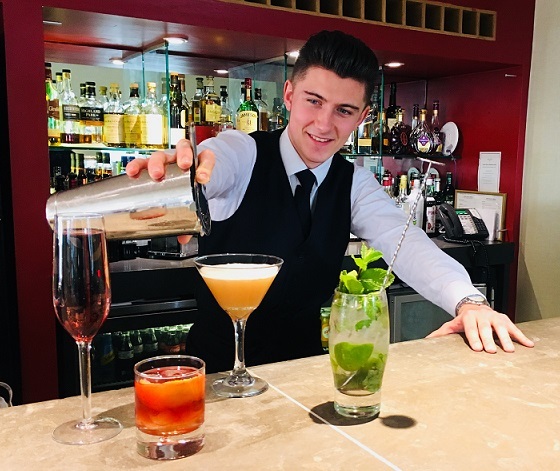 In addition, during Nottingham Cocktail Week you will be able to join us to make, shake and taste three fantastic cocktails with Brenton in the Park Bar at Hart’s Hotel. This 90-minute cocktail session will include a Bellini on arrival, a selection of nibbles and demonstrations of how to make three cocktails, Classic Negroni, Hart’s Mai Tai and Martini Espresso. Find out more here. We look forward to welcoming you to Hart’s during Nottingham Cocktail Week.